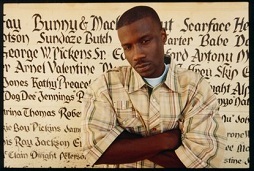 Jay Rock recently confirmed that he was on set for the video shoot to his big single, “Boomerang“. Jay updated fans over Twitter throughout the day as the shoot progressed. Jay, known for his frequent music video releases, has been planning a video for “Boomerang” for several weeks prior. Fans can expect another quality video from Jay Rock and Top Dawg Entertainment. Click here to follow Jay Rock on his official Twitter page.